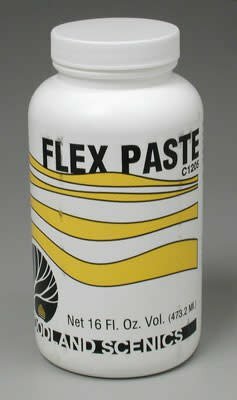 This is A Bottle of Woodland Scenics' Flex Paste. Dries flexible; therefore, will not crack. 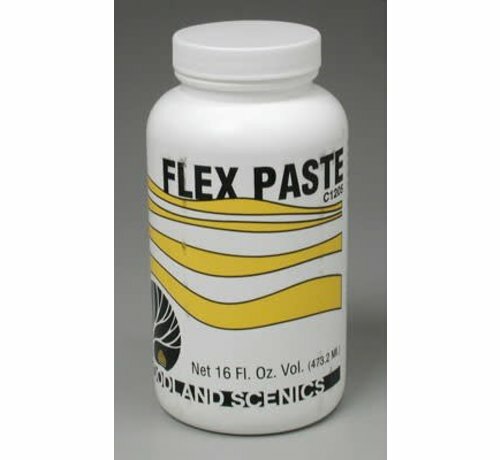 Perfect as a filler, surfacer, and primer on styrofoam. Use as road base for concrete or asphalt modeling. Use as a sealer under E-Z Water. Versatile adhesive for use with a variety of materials! Will not adhear to plaster.